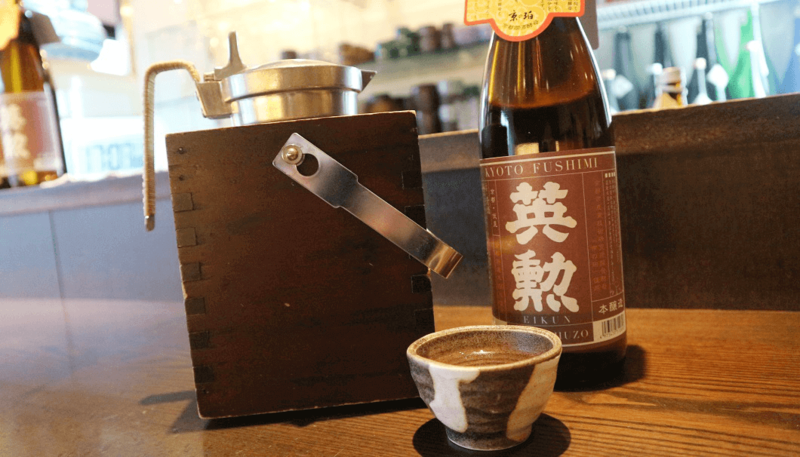 Tachinomi sake bar YATA has expanded, opening a store in Chubu Centrair International Airport, which is located in Tokoname City in Aichi Prefecture, just south of Nagoya, the major hub city of central Japan. YATA management originally considered expanding abroad, but decided instead to focus on international audiences coming into Japan first. The bar serves only junmaishu, sake made from only rice and rice malt. Uniquely, YATA has no menu, encouraging customers to converse with the staff to choose a drink. There’s also a nomihoudai (all-you-can-drink) option for those who want to try a larger variety of sake before jetting off to far away places. Last September, Snow Peak, Japan’s popular sustainability-focused, high-end outdoor brand, teamed up with Asahi Shuzo, a sake brewery with deep roots in Niigata and makers of famous “Kubota” brand sake, to create a high-quality sake meant to be enjoyed in the great outdoors. Labelled “Kubota Seppou” the brew was a huge hit with customers, especially the striking black-on-black bottle design. Customers clamoured for a re-release, and Asahi Shuzo obliged. This year, it will be released in July to coincide nicely with the beginning of camping season. Kubota Seppou is meant to be enjoyed throughout all four seasons. It’s characterized by complex nature and relative “heftiness” in relation to standard Kubota, due to its traditional brewing techniques. 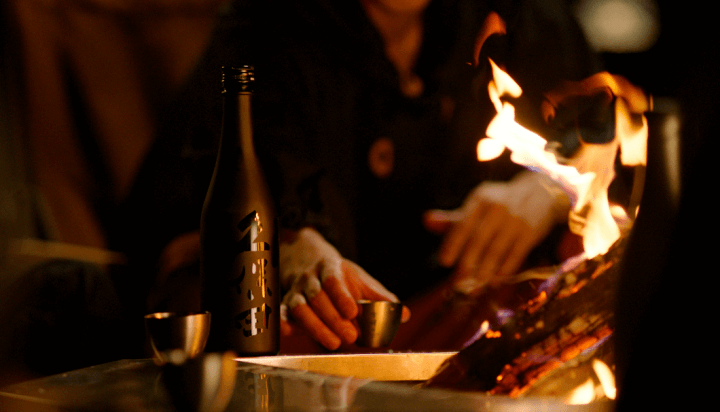 Richer notes of umami make it a great match for outdoor cuisine like campfire meals and barbecues. Looks like it’s time to buy a bottle and reserve that campsite in Niigata. Kyoto Municipal Institute of Industrial Technology and Culture is a public institution helping support small and medium enterprises involved in manufacturing industry through research and development. One of their latest creations, however, is starting to make waves in the world of sake. 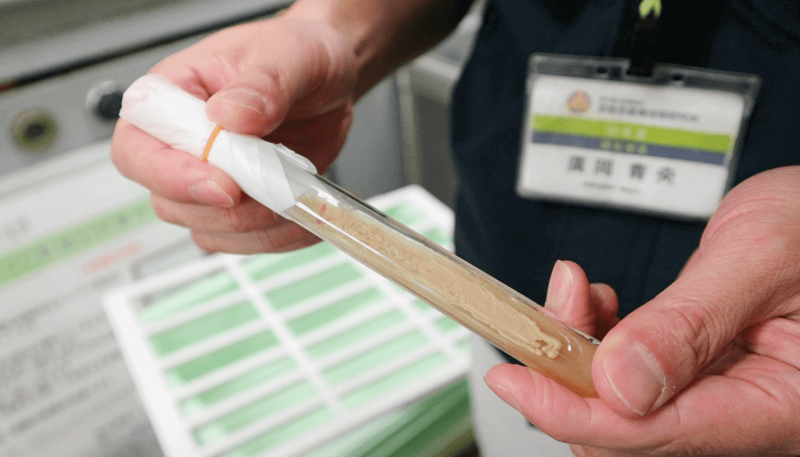 Named “Kyo no Haku” (a combination of terms integrating “Kyoto” and the word “kohaku”, meaning “amber color”), this newly developed yeast was created for one very specific purpose: brewing sake that is suitable for heating. Successfully produced in 2016 following over 10 years in development, the yeast is now finally starting to creep in to sake production, as a renewed interest in warm sake, known as “kanzake”, has been growing significantly in recent years. The kyoukai yeasts distributed by the Japan Brewery Association are most commonly used by breweries throughout Japan, each with their own characteristics that lend certain qualities to the sake being produced, however local research institutes often develop their own varieties as well, in attempt to create something that can be of added-value to products from the region. The ability of “Kyo no Haku” to produce an exceptionally high level of succinic acid, which supports the development of richer flavors, mellow and well-rounded mouthfeel, and milder aromas at higher temperatures, is indicative of the qualities often lauded in well-made warm sake. Saito Shuzo, the famous producers of “Eikun” brand sake, based in the Fushimi region of Kyoto, were one of the first to support and brew with the “Kyo no Haku” yeast, making a sake with warm temperatures in mind. 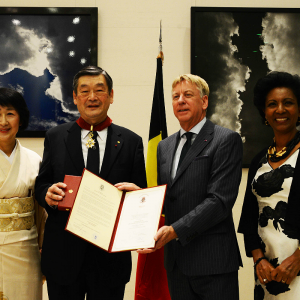 As the ability to play with temperature adjustments is one of the truly unique and exciting elements of sake, the makers are hoping that this latest development will lead to further interest in, and production of, sake crafted for warming, with new target markets – particularly non-Japanese – a primary focus.